This is the largest model in the Meaco range of compressor driven dehumidifiers the Meaco 40L. 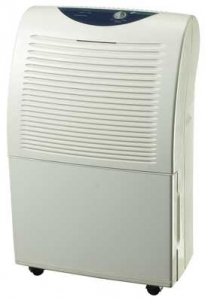 This model has a simple mechanical control to keep the cost down whilst concentrating on performance, hence offering 40 litres dehumidification capacity in a 24 hour period. You also have the option for continuous drainage.